Last day of my sneak peek of Happy Coaching 101. Don’t forget to catch up and read Monday’s post about this service. It will be time for you to tell me how you think this service would be best utilized. Yes, I need your help on deciding several items in January of 2018. 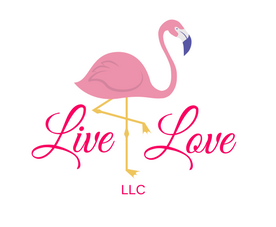 Therefore, if you find yourself feeling the need to comment, provide advice or just want to voice your opinion, Livelove is giving you that opportunity! Today’s posting is very dear to my heart. This middle age man has battled with drugs, is not allowed to see his family and has been on a multitude of street and prescription drugs, longer than not. I provided this service for free, for him. I will honestly say, his messages are some of my favorites. It’s time to come out and be the person you are to be! It’s time for you to shine like a brand new coin and give back to society, what you were meant to bring. Your kids need their daddy, the one who adores and cherishes them. A man! A man to be looked up to, who is honest and cares for himself as well as others. You are now to be grateful for your own family who has upheld you, bailed you out numersous times and cried themselves to sleep when you were locked up because they miss and love you. I am jumping up and down in excitement to watch you grow and evolve to the man you know you already are! You are loved no matter what, unconditionally! Just remember you are also creating a pattern for your children to follow, where do you want them to go? Down your present road or a happier one? You choose. Email us is you are interested in beginning Happy Coaching 101 as personal messages. Monday January 14th we will have only five spots open for that week, but will be adding more asap. Written by: Momma Teena and her Happy Coaching Messages! This entry was posted in anxiety, depression, Energy, friends, God is good, Happiness, healing, Love, Not perfect, parenting, Relationships and tagged believe, depression, enjoy, feedback, Happiness, Happycoaching, letitgo, livelove, living, restart on January 12, 2018 by teenadrake.